We had amazing feedback following our Sprint #1, Short #1 and Come & Tri last weekend. Thanks for taking the time to let us know how much you enjoyed it. Definitely was a top morning. No denying it was on the warm side but that just brings out the Territory tough in you lot and pacing and nutrition skills to the fore. A huge thank you to our RD on the day Barry Sullivan. Barry lived up to his clear, concise and comprehensive race brief reputation and our first time participants particularly appreciated this. Thanks also to our check in wizz kids Clare Labowitch & Moira Wigley, our very popular water station bloke Phil Blumberg (the guy everyone was happy to slow down for); Come & Tri Ambassador Jo Ellis; Col Smith who manned T2 and had to remind a few about leaving helmets on until bikes were racked; Roger Decurtins (who shopped for the post race refreshments and managed the table - top watermelon and rock melon Roger); Barry King who marshaled on demand, Daryl Stanley who got our pack up underway before everyone disappeared, and to all those who just jumped in to assist and/or who helped set up and pack away. Behind the scenes we had Tony Cox handling all the sanctioning, water safety, road management; timing guru Gary Wall and equipment helpers Gayle Viney and Alan Barrett on the job. It takes a great team to have a tri and we extend a big thank you to all those wonderful volunteers who helped last Sunday! What with International Women's Day happening this week it was great to report that the ladies outnumbered the guys at the event - By lots!! Come on guys, get your act together, we want to see more of you at Sprint #2, Short #2 or the Come & Try on 20 March 2016. 1. Our junior members return to the velodrome for more Run | Bike | Fun this Sunday. 2. Confirming there is no on day registration. All entries are online. Come & Tri closes 8pm Friday 18 March or when spaces fill which ever happens first. 1. Craig Percival got his 8in8in8 campaign off to an early start in Darwin on Sunday. Given the temperatures he started his swim at 2am. You may have seen him riding through East Point as we were doing the brief. The guy was running in the hottest part of the day and a couple of members went from our event to run with him. Craig went directly on to Perth, then Adelaide and is currently in action in Hobart right now so will be half way after today. The heat is following him apparently. 3. Anyone beside Life Member Greg Bush doing Mooloolaba this weekend? 4. What's with the bald looks? Clippers too low? Dare? 5. Congrats to junior member Poppy Goat for making quarters at BMX Nationals. 6. 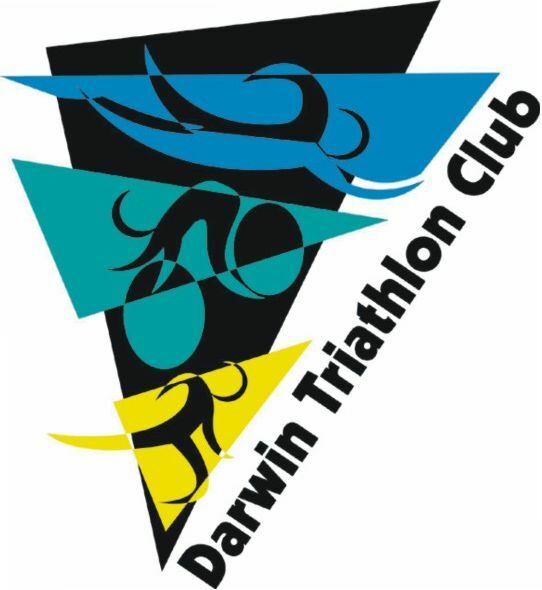 Number of our members were in action at NT Swim Titles at the weekend - saw a photo of medals hanging around Rachel McLean and Megan Gallagher's necks. Busy weekend.